In Switzerland, at the restaurant, you can order a bottle of wine, an open wine or a glass of wine. When choosing a glass of wine you would expect that the host pours the wine, so that the glass looks filled in a proper and decent way. But what about the precision? 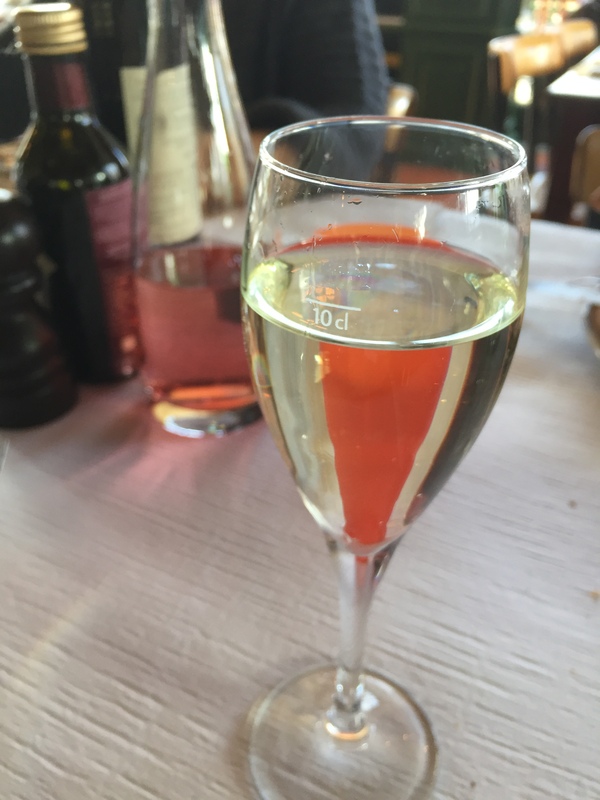 That’s why all the Swiss glasses for red, white, rose’, champagne, Prosecco are “cut” by a white horizontal line with the mathematical indication of 10 cl! Precise and perfect, but for sure the wine tastes less good and magical in a “lined” glass! A small village in the Swiss Canton of Argovia with a long tradition of wine production, firstly mentioned in the 13th century! With a little more than 1’000 inhabitants and 38 hectare vineyards, Tegerfelden is the second municipality in Argovia for wine production with 10% of all wine types produced in Argovia. And it is really a village dedicated to wine! – white: Riesling, Sylvaner (Müller-Thurgau), Pinot gris, Chardonnay, Sauvignon blanc, Räuschling, Traminer. 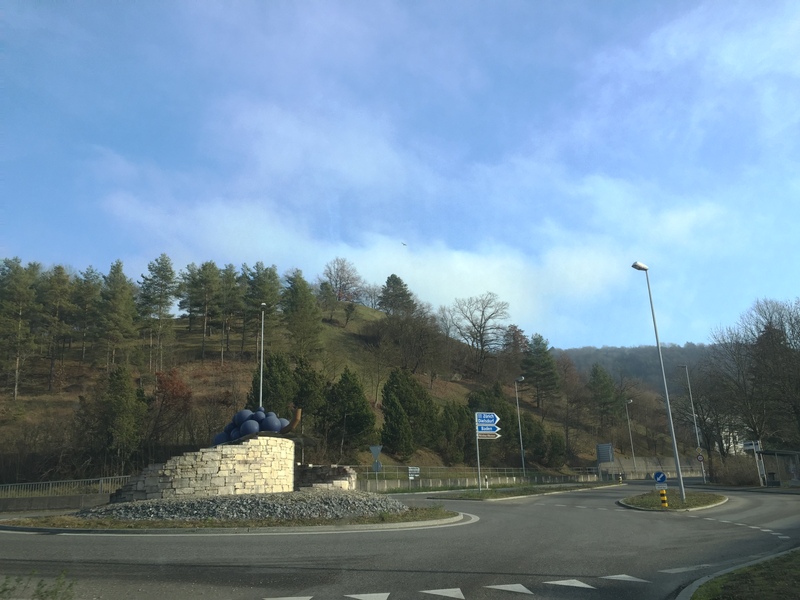 To underline the importance of wine for this small community, at the entrance of the village, a giant grape stands in the middle of the roundabout, a big violet grape, lying on a grape leaf. Ah, such a nice feeling entering this village, surrounded by vineyards on the hills and feeling the taste of wine in the air!